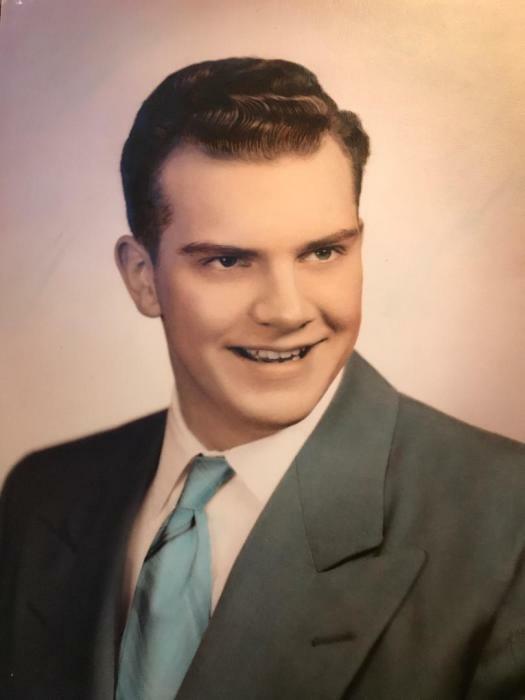 Donald M. Franzen, 85, passed away on January 21, 2019 at home on the ranch surrounded by his loving family. Don was born May 3, 1933, in Livingston, Montana, the youngest of three children born to Robert and Grace Franzen. He grew up in Livingston and his entire family was involved in the daily operations of the business his father established, Franzen-Davis Mortuary. After graduating from Livingston High School, he served for 8 years in the Montana National Guard while working for the Northern Pacific Railway in Livingston. He later drove trucks delivering heavy equipment between Montana and Washington after which he relocated to Longview and drove log trucks for Weyerhauser Company. He then worked as a diesel mechanic for Longview Transport, Consolidated Freightways and eventually retired after 30 years at Cummins Northwest in Longview. He married Karen Franzen in 1977, bravely entering a household with three teenage girls to whom he became a very special and much loved father. He and Karen spent over 30 years building their ranch, Franzen’s Fantasy Stables, where they were proud to build the first modern log house in Cowlitz County, and where they managed a horse stable and Murray Grey beef cattle herd. The ranch is now called Whispering Willow Ranch and is owned and operated by their daughter and son-in-law, Tracy and George Moore. Don and Karen continue to reside on the ranch. Last summer, the family gathered there from across the country for a reunion to celebrate more than 40 years of marriage. Don loved life on their ranch and especially enjoyed making hay in the early years and eliminating the surplus mole population. Karen was a 4-H leader and he supported and enabled numerous 4-H group activities on the ranch and throughout the county. Over the years, Don and Karen hosted several high school AFS foreign exchange students at the ranch and two of those students from South American had a very close relationship and have kept in touch and brought their own families back to visit. He and Karen had many special and beloved pets over the years, most recently, his constant companion, a Pomeranian named Foxy who was 16 years old when she died this past year. He was a lifetime member of Cowlitz Valley Moose Lodge #530 and long time NRA member. For the past 4 years, he and Karen traveled with their 5th wheel to California, Montana, and Idaho. They spent summers camped in Chinook, Washington where they fished for sturgeon and crabbed and “happy-houred” with their many camp friends. They had just returned from a trip to Montana this past October. Don is survived by his wife, Karen Franzen (nee Curtis); daughters: Kelly (Kurt) Lash of Richmond, Virginia; Tracy (George) Moore of Longview; and TaSheena (Richard) Keefe of Seabeck. Other special “children” Kathy (Dave) Jones of Clatskanie, Amy (Kent) Lindgren of Astoria, Luis San Martin, of Chile and Carlos Albuja, of Ecuador. He has numerous grandchildren and great-grandchildren. Don was predeceased by his parents, Robert and Grace, a brother, Robert and sister, Grace. A graveside service was held on Thursday, January 24 at Napavine Cemetary.